Blackrow Engineering provide sheet metal fabrication services from our modern engineering and assembly facilities. Our custom sheet metal fabrication services are used by the food handling, processing and pharmaceutical sectors. We provide a complete sheet metal fabrication solution for your projects, from design stage to on-going maintenance. It all starts in our design team, who will work alongside you to deliver to your project specification. 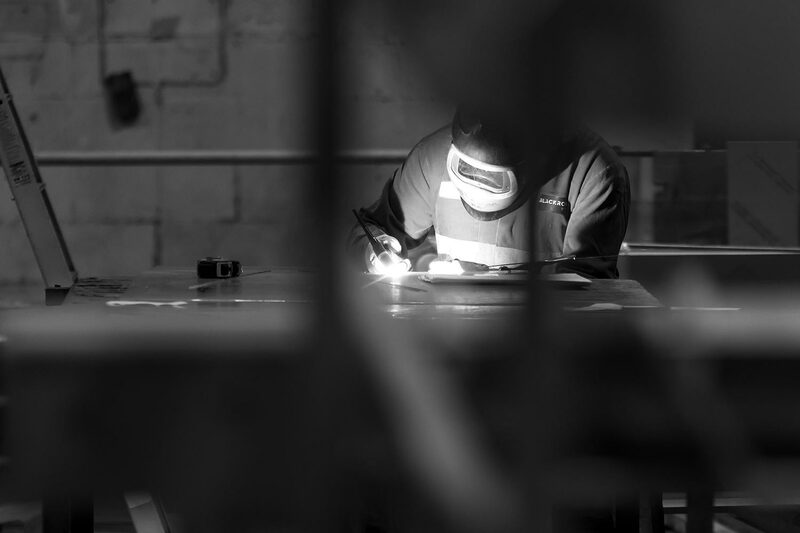 Our skilled sheet metal fabricators and welders, then take on our design drawings to produce your product or component in mild steel, stainless steel, carbon steel or aluminium. Once fabricated, our large-scale assembly facilities come into play, and we can install and test products and lines on our site; ironing out any potential issues, before disassembling and installing on your site with the minimum of disruption. Following installation we are on hand to provide ongoing modifications, maintenance and 24 hour breakdown cover should that be required. If you have a sheet metal fabrication project you would like to discuss with us, get in touch with our Projects Team who are happy to discuss options and get your project off on the right track.